March 28, 1828, Washington, D.C.
Dr. William Thornton was an amateur architect who is honored as the "first architect" because his design for the U.S. Capitol was accepted by President George Washington in 1793. He received $500 and a building lot in the city of Washington for his composition. He held no government position as a result of winning the architectural competition. Thornton was born on May 20, 1759, in the British West Indies, and received a medical degree from the University of Aberdeen. He became an American citizen in 1787 and moved to Washington in 1794, when President Washington appointed him one of the city's commissioners. In 1802 President Jefferson appointed him head of the Patent Office, an office he held until his death in 1828. During the first decade of work on the U.S. Capitol, three men were hired to oversee the construction. Stephen Hallet was a professionally trained architect who placed second in the U.S. Capitol’s design competition, yet was given a monetary prize equal to Thornton’s award. Hallet is credited with revising the floor plans of the U.S. Capitol’s two wings. He was placed in charge at the beginning of construction in 1793 and was dismissed by the commissioners in 1794 for insubordination. Born in Paris in 1755, Hallet came to America around 1790 and worked for Pierre Charles L'Enfant, the engineer who designed the city of Washington. Before, during and after the U.S. Capitol design competition Hallet is known to have developed at least five designs. Little is known of Hallet’s post-Washington career. He died in 1825 in New Rochelle, New York. 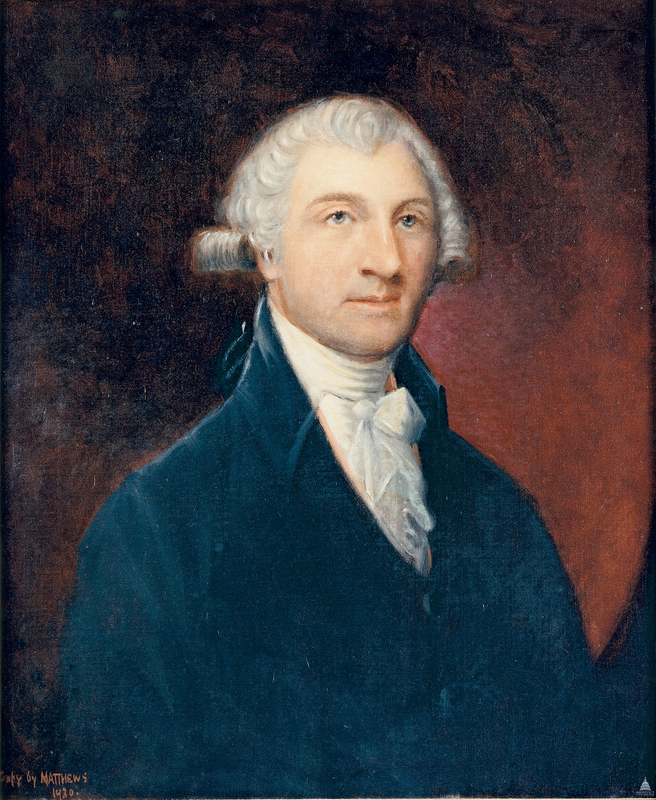 George Hadfield was hired by the commissioners in 1795 to be Hallet's successor. He began his employment by suggesting major alterations to the U.S. Capitol’s design and was ultimately rebuffed. In 1798 he designed the first office buildings for cabinet departments, and when he refused to surrender the plans, the commissioners dismissed him. Born of English parents in Italy in 1763, Hadfield studied architecture at the Royal Academy in London and served six years under James Wyatt, one of England’s great neoclassical architects. Hadfield remained in Washington after leaving the U.S. Capitol, designing such notable landmarks as "Arlington" (the Custis-Lee Mansion) and City Hall. He died in 1826. James Hoban was the architect of the President’s House and oversaw construction of that building as well as the U.S. Capitol. Hoban supervised both Hallet and Hadfield, and when the latter was dismissed in 1798, he took over the day-to-day operations on U.S. Capitol Hill. He supervised the completion of the north wing and designed its interior finish. Born in 1758, Hoban studied architecture at the Dublin Society School. He emigrated from Ireland to Philadelphia in 1785, and moved two years later to South Carolina, where he is credited with the re-ordering of the former statehouse in Charleston as a county courthouse (1790-1791, restored 1999). In 1792 he won the competition for the President’s House and began his long association with the public buildings in Washington. He died in 1831.